If you are completely satisfied with the quality of the water in your home, a drinking water test probably isn’t necessary. However, if you are like most homeowners, your tap water isn’t quite as good as you think it should or can be. Perhaps it has a slightly disagreeable taste or smell, or stays cloudy after you pour it into a glass. Whatever type of irregularities you notice, a professionally administered drinking water test can help you get to the root of the problem. 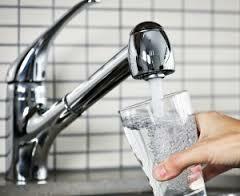 Federal water quality standards, though stringent, actually do not require our drinking water to be 100 percent pure. The Environmental Protection Agency, exercising its authority under the Safe Drinking Water Act of 1974, publishes legally enforceable contamination limits called Maximum Contaminant Levels, or MCLs. These constitute a major part the EPA’s National Primary Drinking Water Regulations, and are accompanied by information relating to the adverse health effects of long-term contaminant exposure, the sources of drinking water contamination, and the methods the EPA uses to keep our drinking water safe. In short, there are contaminants in our drinking water, only at levels the EPA deems safe for human consumption. Having a drinking water test done may be necessary nonetheless. For example, cities commonly add chlorine to their water supplies as a disinfectant. This chlorine has a distinctively unpleasant taste and aroma, and is actually no longer needed after the water exits your faucet. Water testing can reveal the presence of additives like chlorine and fluoride, as well as elevated levels of contaminants like lead, nitrates, and soil runoff/sediment that commonly hinder water quality. Contact an authorized RainSoft dealer near you to schedule a complimentary drinking water test. Since 1953, RainSoft has made good water better for families through professional water testing and the installation of intelligently designed water treatment system products for the whole house.